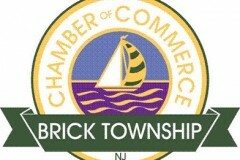 The Educational Foundation of the Brick Township Chamber of Commerce is celebrating the 25th anniversary of its scholarship program this year by awarding $25,000 in scholarships to local youth. The Chamber will be holding a special networking cocktail party to congratulate and introduce their eighteen 2015 scholarship award recipients later this month. The post-secondary education scholarships have been awarded continuously for twenty-five years and in that time has made awards of close to $200,000, Chamber officials said. This year’s awards mark the greatest dollar amount given in a single year. The Anthony Emma Memorial Scholarship donated by Encore Dental Associates for a student concentrating their studies in the areas of science and or math. A Princeton Dental Scholarship which is being given to a student going to school for health related studies. FASTSIGNS of Brick will assist a student pursuing a career in graphic arts. Richard and Lisa Lau donated two awards for health related, science or math studies. 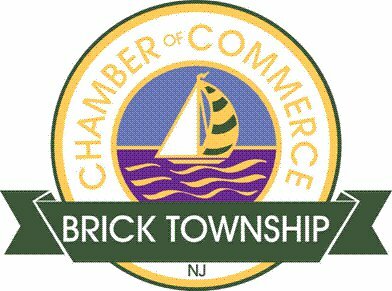 The Brick Township Chamber of Commerce Golf Committee for general studies and “Waves of Support,” for students whose educations were impacted by Superstorm Sandy. Helping to make this special event possible are Honor Society Sponsors who are: Assured Mortgage Bankers, Brick Police Athletic League, Drs. Ricki Krantz and Todd Sirota, FASTSIGNS of Brick, OceanFirst Bank, Rich and Lisa Lau, Tri-County Insurance Agency, and Wingman Planning. The cocktail party will be held Wednesday May 27th at the Crystal Point Yacht Club 3900 River Road, Point Pleasant from 5:30 -7:30 p.m. Reservations for this event are strongly encouraged and may be made by calling the Brick Township Chamber of Commerce at 732-477-4949. The cost to attend is $25 and all proceeds will benefit the Educational Foundation. Donations to the Educational Foundation, a 501© (3), are accepted throughout the year.